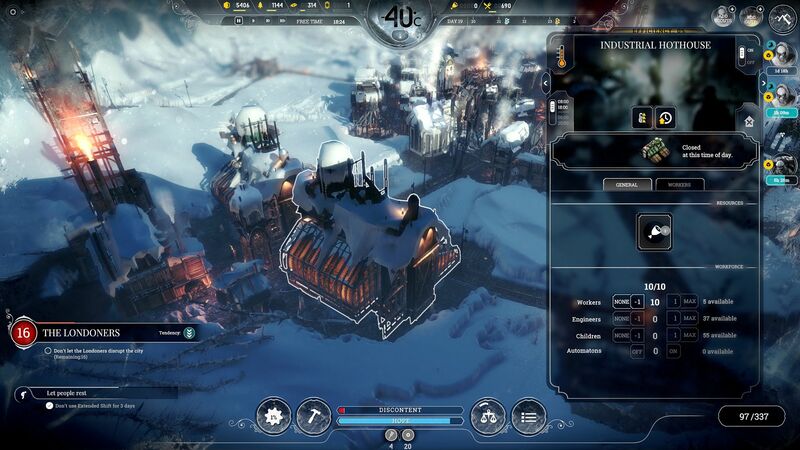 Frostpunk is a survival city builder. The game follows a small crew of migrants who travel north to start a new city after an ice age freezes London, England. After settling down by a coal generator, players must guide their small city through sudden drops in temperature, civil unrest, and dwindling supplies. To survive, players will need to make tough decisions that will test their own moral compass in a world where there are no good choices. 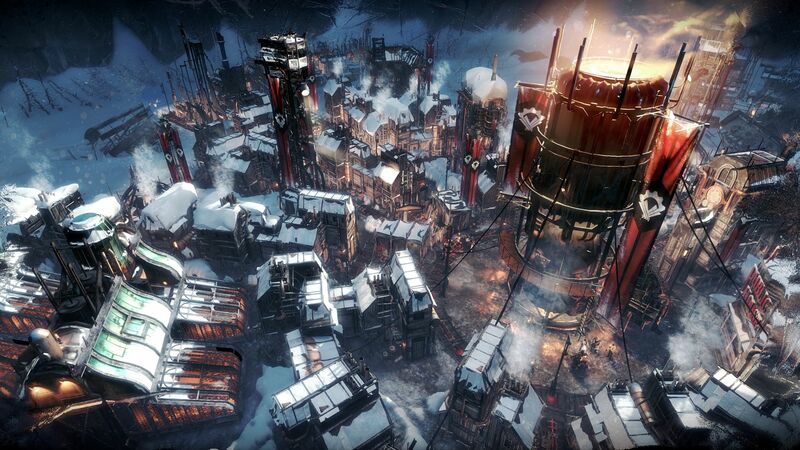 Frostpunk is set in a grim steampunk world. For a city builder, Frostpunk offers quite a bit of storytelling. At launch, the game comes with three scenarios with their own story. The day to day trials of the city is told through citizen dialogue and events, while the world’s lore is fleshed out through scouting around outside the city. 11 bit studios has crafted a fantastic story for Frostpunk. The game’s Hope and Despair gameplay mechanics are tied nicely to the game’s story. 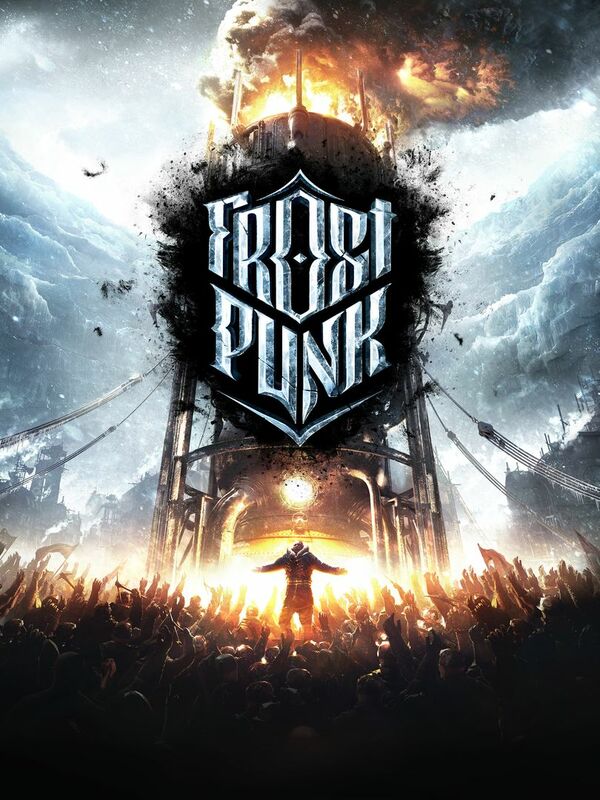 Frostpunk’s advertising pushed the idea that the game would test player’s morality and that there are no right or wrong decisions. While it isn’t perfect, Frostpunk is one of the better examples of the moral grey zone that people actually deal with in every day life. There are plenty of decisions that are morally cut and dry, but even those come at a heavy cost as resources are always stretched thin. While lesser in numbers, there are some more morally ambiguous decisions in the game with no right or wrong answer, such as deciding whether to allow a man facing amputation to die as he wishes or forcibly amputate the limb. 11 bit studios does good job providing players with options that will constantly have them wondering if they made the right decision. 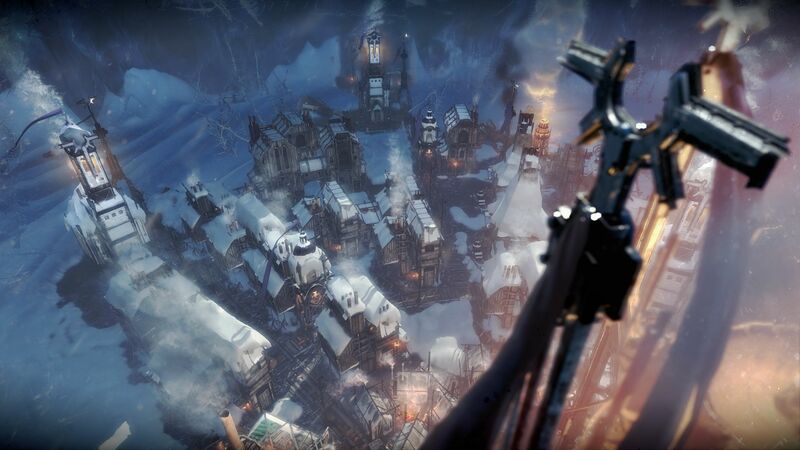 Frostpunk is a city builder with the threat of failure constantly hanging above the player’s head. The ever present cold is the game’s main driver for resource management. Players must keep their citizens warm with coal fired generators or risk illness, amputations, or death. Citizens are a limited resource and can only be replenished with new survivors. Every citizen unable to work means a smaller workforce, and the effects are felt in almost every aspect of the game. At the same time, keeping a healthy workforce is only half the battle. Keeping the people hopeful about their future and warding off despair is just as important. A poorly timed event can spread the fear of impending doom through the population, while uniting the people behind a common cause can keep spirits high even in the face of plummeting temperatures. Frostpunk’s juggling act is made a little easier with its Book of Laws. Players can implement decrees to address a certain problem in the society. Often times, these decrees come with a moral quandary like deciding to implement child labour or spend precious resources to provide day care. Issuing a stream of decrees is an absolute must to survive the early game. The Book of Laws and its moral challenges is one of Frostpunk’s unique features, and I’m disappointed to see it fade in importance and use in the late game. The difficulty curve in Frostpunk is not smooth at all. There are clear points in the scenarios where the difficulty level suddenly jumps. Disruptive events are a good way to keep things interesting, but the sudden jump in difficulty and the predictability of the events are boring and a bit frustrating. The high jump in difficulty makes it extremely challenging to survive the event without prior knowledge and preparation. The pre-scripted events in the scenarios mean the game’s current replay value lies in playing scenarios over again until players can figure out the right path to overcome the impending events. Overall, Frostpunk’s city building gameplay is a tense, but enjoyable play. Outside of the disruptive events, the game is well balanced. The constant struggle for survival as temperatures become progressively colder is an enjoyable challenge. Frostpunk’s replayability is a work in progress. There are only three scenarios on release. While some difficulty options can be tweaked, it is still no replacement for a sandbox mode that provides randomized events and challenges. The extremely large spikes in difficulty will not be for everyone. Those who will prefer the puzzle like approach to solving scenarios will likely enjoy Frostpunk more than those who prefer gameplay that emphasizes flexibility and thinking on their feet. Frostpunk’s art style is a dark spin on classic steampunk. The game’s artwork is superb. The inhabited areas are a dark, dirty mix of greys and blacks that are lit up by splashes of oranges. These areas contrast wonderfully with the bright white snow. While not immediately noticeable, the game has a surprising amount of detail. Citizens trudge their way through the snow to hunt late at night or stream into the town square for an early morning meeting. The character and building design is fitting for Frostpunk’s setting, with its dilapidated buildings and heavily bundled citizens. Frostpunk delivers an enjoyable audio performance. There is very little voice acting, but what is there is excellent. The sound effects work well for the game. The music is subtle, providing a good accompaniment to the gameplay without being intrusive. Frostpunk is a solid, albeit slightly flawed survival city-builder. The game’s lore is excellent, and the moral dilemmas it offers transcends the usual good and bad dichotomy that video games tend to offer. The gameplay is decent, though not everyone will like the scenario’s puzzle-like nature due to the sudden difficulty spikes. As of publishing, there are only three scenarios and no sandbox mode, which makes replayability a little tricky. Even with its warts, city-building fans should give Frostpunk’s grim world a try. While lacking in replayability and struggling with sudden jumps in difficulty, Frostpunk is still a fun city-builder that will challenge your moral compass.